Scott Laboratories Inc. (USA) and Scott Laboratories Ltd. (Canada) are privately held companies specializing in value-added products for the North American wine, craft brewing, and distilled spirits industries. Our predecessor firm (the Berkeley Yeast Laboratory) was literally founded in the weeks prior to the end of Prohibition in 1933. The mission of the new company was to help customers produce better products for THEIR customers. Value-added was a core principal then. It remains a core value seven and a half decades later. Our first products were lab services and yeast. In the years that followed the needs of our industry customers led us first to cellar supplies, then to packaging and finally into processing and bottling equipment. It has been a 77-year evolution driven by the concept of adding value. Our current product portfolios include some of the most famous names in the wine, craft brewing, and spirits industries. In some cases, we have our own proprietary products (such as Sparkolloid and Scottzymes) while in other cases we work with partner firms. You can check out virtually all of our offerings on our website at www.scottlab.com. As of 2018, our companies have 80 employees. Our headquarters are in Petaluma, California and Pickering, Ontario. In addition, Scott Laboratories USA has locations in Healdsburg (Sonoma County) and Paso Robles. Scott Laboratories continues to provide state-of-the-art fermentation and cellar products in conjunction with superior technical knowledge and support. We offer a range of proprietary products as well as quality products from Anchor, Bioseutica, Institut Oenologique de Champagne and Lallemand. We make every effort to bring you the most up-to-date information to help guide your fermentation endeavors. At Scott Laboratories knowledge is one of the most important services we offer. Our laboratory is a key component of this. Working together with our inside sales technical group, our laboratory offers some of the best (and most confidential) services in the wine business, including speedy analysis and practical solutions where and when you need them. Our lab is an island of stability in the unpredictable world of winemaking.From the grape to the bottle, our laboratory is poised to support your needs. We offer both routine and custom services. Routine checks allow you to monitor your wine's progress and head off little problems before they become big ones. Customized testing and trials can help you determine appropriate options for your particular wine. Our laboratory's goal is to help you make the best wine possible. The option of 24-hour drop-off and pick-up at our facility is available. Contact us to receive a code to open the lock box outside of our main building. 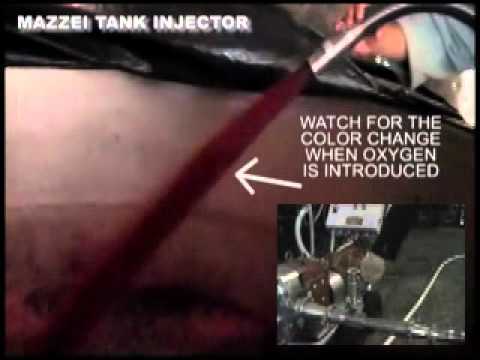 The Mazzei injector is a simple venturi device which makes it easy to do additions to tanks during a recirculation. Learn the proper method to setup, clean and use a sheet filter. Learn the proper method to setup and usage a cartridge filter, including the bubble point method to test membrane integrity. Learn the proper method to setup, use and backflush a lenticular filter. Dealing with a stuck fermentation can be frustrating. When restarting a stuck or sluggish fermentation, it is essential to address yeast biomass buildup together with the low nutrient levels. Follow the step-by-step instructions highlighted here to improve your chances for a successful restart. Filtration solutions for ensuring filterability of large wine volumes to be shipped or bottled and the economics of using Seitz Suprapak Plus. Also discussed are tools for maintaining wine quality and stability, as well as avoiding oxidation during shipping. The new range of oak infusion products and finishing tannins by The Oak Lab™ are helpful tools when fine-tuning a wine. Some winemakers are looking for more mid-palate structure and aging potential, while others are looking for an influence from oak. 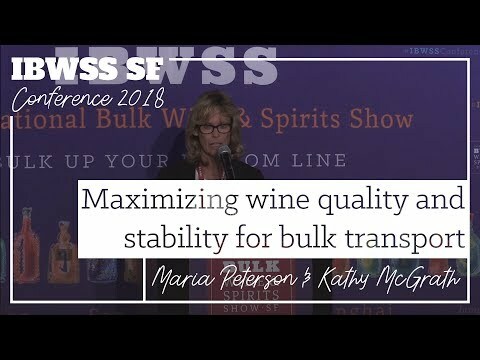 Tannins and oak infusion products provide a rapid and repeatable way to achieve your targets for changing the tannic profile of a wine, while also positively impacting the weight, length, and complexity. Trials are recommended to discover the best product(s) for your particular wine and goals. Bottling day should be spent making sure that the right product is going into the right bottle with the correct label and closure. It's imperative to monitor all of the technicalities that come with these steps. View our bottling day checklist as a guide to ensure a successful, stress-free bottling day. Since before the end of Prohibition in 1933, Scott Laboratories has distinguished itself as a leading supplier of value-added products for the wine, craft brewing and spirits industries, specializing in staff winemaking expertise and top-notch customer service. Today, the Petaluma, CA based business has once again brought an innovative bent to the market by adding The Oak Lab™, a division of the company dedicated to oak infusion products, to an already impressive portfolio of winemaking options. The Oak Lab™ was created to bring a fresh perspective to the existing rank of oak infusion methodologies by singling out production methods which addressed the holistic wine profile. In the discovery of what is now the flagship line of product, the Thermic line, a unique and proprietary method for heating oak, the team is ready to introduce a range and sensory profile unmatched in the market today. Aside from the sought-after profile, the singular production methodology allows for unparalleled consistency. Thermic heating is a combustion-free process that differs from traditional oak infusion, where the products are typically toasted, baked or electrically radiated. It produces zero smoke, tightens the wood for steady, more even extraction, produces complex, consistent flavor compounds and allows for temperature control with unparalleled accuracy. In addition to oak infusion, Scott Laboratories has been specializing for the last eight decades in fermentation and cellar products, such as yeast, nutrients, enzymes, tannins and fining materials; filtration equipment, media, parts & accessories; closures, including corks, screw caps, capsules, foils and cages; and equipment for winemaking, brewing and distilling operations, including crushpads, presses, pumps and tools. For information on The Oak Lab, please visit www.theoaklab.com. The Inoxpa RVN Helicoidal Pump features a unique helicoidal impeller design which provides exceptionally gentle must transfers. Due to its unique shape and flow, solid particles pass through the pump without being damaged, and without clogging. RVN pumps are widely used in wineries for the pumpover process where the high capacity and minimum destruction of the solids (seeds, skins, etc.) is required. The design of the pump contributes to better extraction of tannins, and reduction of lees formation, therefore achieving higher quality wines. The RVN is the standard for automated tank pumpovers. Scott Labs carries a range of stock and custom tin capsule options that make it easy to beautifully showcase your brand. With superior quality, outstanding customer service, and easy ordering, tin capsules from Scott Labs are fully customizable and offer an array of design possibilities. Scott Laboratories, the industry leader in ingredients and products for wine quality, is proud to announce the launch of The Oak Lab, an enterprise dedicated to oak infusion products. The Oak Lab™ was founded with the vision of bringing a new perspective to the oak infusion market by developing and embracing new technologies, and re-imagining the process of product trials, selection, and application. Its mission is to deliver solutions for winemaking success and unparalleled customer experiences, all with an eye toward wine quality, the hallmark of all of Scott Labs’ offerings. The Oak Lab’s line of premium quality oak infusion products is paired with a reimagined process for bench trials and the ability for customers to create unique, customized blends based on their specific wines. The Oak Lab™ integrates deep oak know-how with more than a century’s worth of North American winemaking expertise to provide products which are harmonized with the entire winemaking process. The Oak Lab™ will officially launched at the 2019 Unified Wine & Grape Symposium. The Oak Lab™ is currently under construction and will be located adjacent to Scott Laboratories headquarters in Petaluma. This location will provide customers with the opportunity to do hands-on trials and tastings with their Oak Specialists. Please visit www.theoaklab.com to learn more about the company, as well as its products and offerings. Petaluma, California, January 29, 2019 – Scott Laboratories, a provider of high-quality winery crush and processing equipment for over six decades, is excited to augment their portfolio with a range of wine pumps and other processing equipment from Inoxpa. The Scott Micro-Agglo stopper is the latest in new-generation technical stoppers, developed from natural cork using cutting-edge technology. Scott Micro-Agglo is available in two separate grades: SCOTT MICRO (≤ 1 ppt) and SCOTT MICRO PLUS (≤ 0.5 ppt). Ideal for early-to-drink wines, this cork provides value and security. Malolactic fermentation is much more than a simple process. The ability of the malolactic bacteria, Oenococcus oeni, to affect wines in a positive way, both texturally and sensorially, can be used to chase wine aromas and drive wine style. Common terms used to describe the positive effect of MLF on wine flavor are fruity, spicy, toasty, nutty and buttery. The butter aroma is due to the metabolism of citric acid, resulting in the intermediate metabolite, Diacetyl. To find out more about managing diacetyl in wine, click here. The enhanced fruity notes can be attributed to the enzymatic activity of the bacteria strains (esterase and β- glycosidase), as well as due to the decrease in the herbaceous notes (due to acetaldehyde metabolism). Although there is a significant difference between the strains used and their abilities, we must also consider the matrix effect, in particular, the pH and ethanol concentration, as well as the grape cultivar and the timing of inoculation. In general, an early inoculation (24-48 hours post yeast inoculation) should result in a fresh, fruity wine style with minimal buttery notes which may be desirable in whites, rosé and early to market red wines, whereas a sequential inoculation will enhance the spiciness, texture and complex fruit notes, while minimizing the vegetative and herbaceous flavors. We have provided comprehensive aroma wheels (click to enlarge) to give users an idea of how each ML bacteria will affect aroma, mouthfeel, and flavor of the finished wine. When restarting a sluggish or stuck fermentation, it is essential to address yeast biomass buildup together with the low nutrient levels. Appropriate yeast rehydration nutrients such as Go-Ferm and Go-Ferm Protect Evolution are useful tools. Both are rich in micronutrients and survival factors. When added to the rehydration water these factors promote increased biomass of the selected yeast strain. Consequently, the selected yeast can acclimate more easily to the often hostile environments (including high alcohol and low temperature) associated with stuck fermentations. When stuck wines include high residual sugar levels, an addition of a complex nutrient to the stuck wine is also recommended. In addition, spoilage organisms like Lactobacillus and Oenococcus are often present in stuck fermentations. These microorganisms can compete for nutrients and release metabolites that inhibit yeast metabolism. Adding lysozyme to the stuck wine prior to restarting the fermentation may help control such unwanted bacteria and provide an improved environment for the restart to take place. Adding Reskue to the stuck wine prior to restarting the fermentation may also help reduce accumulated toxins and improve chances for a successful restart. To watch a video protocol of this restart method, please click here. When faced with the challenge of restarting a stuck fermentation, it’s important to turn to a yeast strain that’s up for the task. Selecting a strong, vigorous fermenter with good alcohol tolerance is of key importance. When it comes to a successful restart, strains like Uvaferm 43, Uvaferm 43 RESTART, Fermivin Champion, K1 (V1116), VIN13, Uvaferm BC and DV10 can truly save the day! Add 40 g/hL (3.3 lb/1000 gal) of Reskue 24–48 hours prior to restarting. After 24–48 hours, rack off from the Reskue. Add a complex yeast nutrient (Fermaid A, Fermaid K or Fermaid O) directly to the tank of stuck wine at a rate of 0.5–1.0 lb/1000 gal (6–12 g/hL). Many winemakers also add lysozyme at this time to reduce potential bacteria problems(see page 77). In another clean container mix equal volumes of stuck wine and water. Generally, this would total 2% of the total wine volume. (Example: For 1000 gal of stuck wine, use 10 gal water +10 gal wine.) This container will be the “Mother Restart Tank”. Calculate the amount of Go-Ferm or Go-Ferm Protect Evolution at the recommended rate. Dissolve this yeast rehydration nutrient in 20 times its weight of clean, chlorine free,43°C(110°F) water. (Example: 5 lb Go-Ferm x 20 = 100 lb,divided by 8.33 lb/gal water = 12 gal water needed.) Mix the solution and cool to 40°C(104°F). Select a yeast strain that is both alcohol tolerant and a vigorous fermenter such as 43, BC (Bayanus), K1 (V1116), Fermivin Champion or VIN 13. Calculate the amount of yeast required for the total volume of stuck wine at 3–5 lb/1000 gal (36–60 g/hL). When the rehydration nutrient/water solution temperature has cooled to 40°C(104°F), slowly (over 5 minutes) add yeast. Stir gently to mix and avoid clumping. Let this yeast suspension stand for 15–20 minutes. Check the temperature of the yeast suspension. There should not be more than 10°C(18°F) difference between the yeast suspension and the diluted wine in the Mother Restart Tank. If there is too great a temperature difference, a temperation may be required. Cold temperatures may shock the yeast cells. When the yeast suspension is properly rehydrated and proper consideration has been given to temperature differences, add the yeast to the Mother Restart Tank and wait 20–30 minutes. Repeat Step 2 three more times until you have added approx 90% of the stuck wine. Add any remaining wine to the Mother Restart Tank. Follow this restart protocol, except in Step 3 reduce the complex yeast nutrient addition to 0.5 lb/1000 gal (6 g/hL). Follow this restart protocol, except in Step 3 eliminate the addition of a complex yeast nutrient. Recently, unpredictable weather has lead to rot concerns for those with fruit still hanging in the vineyard. To alleviate these concerns, we have outlined two rot management protocols that will help winemakers to assess, test, and manage rot by winemaking stage. Botrytis grows intracellularly and infects fruit primarily under the grape skin, secreting a damaging and stable enzyme called laccase. In extreme cases, Botrytis can cause “slip-skin”, making the fruit very difficult to handle. When Botrytis or other rots are present on red or white grapes, the resulting wine quality can be negatively impacted. Depending on the mold and bacteria present, there are serious enological concerns, such as oxidative browning, degradation of color and aromatic compounds, as well as clarification and possibly filtration challenges. With the launch of the new scottlab.com, we have included a vast library of technical documentation, including several varietal guides to help winemakers achieve their desired wine style. If you have not already been set up with a login, to place your first order, please visit https://scottlab.com/profile/login to request a customer account. Do you have your copy of our newly released 2018 Fermentation Handbook? A big thanks to our friends at Jordan Vineyard & Winery for helping us with the cover this year! If you read the welcome message, you'll understand the numbers on the front and exactly how many beers it takes a production crew to make it through a harvest season. Learn about our newest products, protocols, and more! Download the pdf here: http://bit.ly/FermHB2018 or contact fermentation@scottlab.com for a hard copy. The new Stimula range provides the most innovative nutrients in the Lallemand portfolio. These 100% yeast autolysates stimulate the yeast by increasing their ability to produce desirable aromatic compounds. They are formulated to supply the optimal levels of specific amino acids and sterols, along with the natural vitamins and minerals. They are used at specific times in the winemaking process to promote the uptake and revelation of aromatic thiols or for the production of volatile esters. IOC Be Thiols™ was selected for very low to no SO2 or H2S production. It reveals fruity thiols (citrus and exotic fruits) in white and rosé wines. IOC Be Thiols also enhances 3-MH potential (grapefruit, passion fruit) without excessive plant-based notes. The purity of the fruity expression is heightened by this strains inability to produce negative sulfur compounds that can mask aromas. Fermaid O is recommended for nutrition. IOC Be Thiols is a fast fermenter with a short lag phase, moderate nitrogen requirements, and an alcohol tolerance of 15% (v/v). Optimal conditions for expressing fruity thiols are must/juice that is clarified (80 NTU ± 20), pH > 3.2, and fermentation temperatures between 15–18°C(59–64°F). Finishing aids are valuable tools for perfecting a wine. This includes cellaring and finishing tannins, but also stability products, such as mannoproteins and gum arabics. 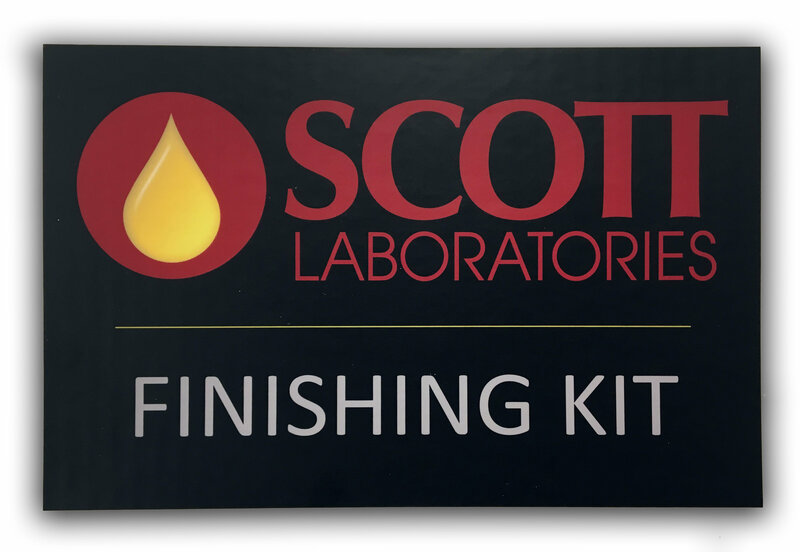 Scott Laboratories offers finishing kits with a range of liquid products for ease of addition, including a variety of cellaring and finishing tannins as well as stabilizing aids. These final touches can help winemakers prevent undesirable characteristics and achieve specific goals. Both kits are available with or without a pipette (pipette sold separately). 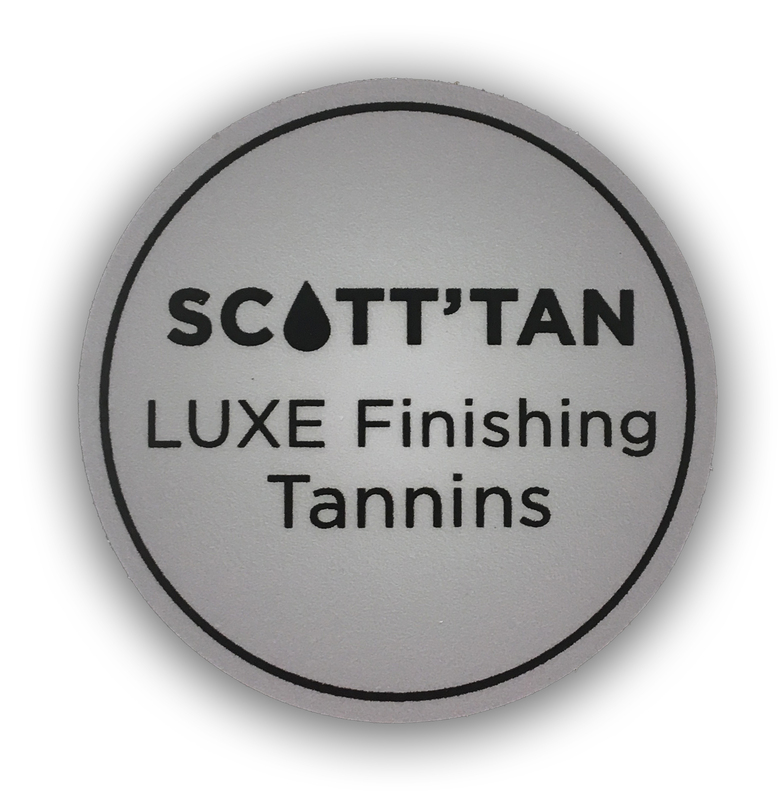 For more information about our Finishing Kit or LUXE Liquid Tannin Kit, please contact 707-765-6666 or info@scottlab.com. Please remember that bench trials are a very important step to determine the right fit for any finishing products. View our bench trial dosage charts. Petaluma, California, April 25, 2018 – Scott Laboratories, along with PALL Corporation, the leader in crossflow filtration for the North American wine market, are pleased to announce an exciting development in their 27-year relationship. After almost three decades of filtration media distributorship, Scott Laboratories is thrilled to become the exclusive distributor to the wine for PALL Oenoflow™ crossflow systems. Under this new agreement, Scott Laboratories will offer new machines, as well as all Parts, Service, and Technical Support required for existing and future PALL Oenoflow™ crossflow system installations in the North American wine industry. Scott Laboratories’ seasoned team of service technicians is positioned to provide the same world-class service as the PALL team, and for the upcoming months, Scott and PALL will work together on service events to ensure a seamless transition. Committed to rapid response times and stock-on-hand for major wear parts, Scott and PALL are eager to uphold the industry-leading legacy that both companies are known for. For over 80 years, Scott Laboratories has been meeting the needs of the beverage industry with innovative solutions and products. Scott Laboratories operates its main office in Petaluma, CA with satellite facilities in Healdsburg and Paso Robles. For more information regarding Scott Laboratories and the services and products that it supplies, please visit www.scottlab.com. Winemakers and grape growers are constantly looking for opportunities to improve quality. Achieving phenolic and sugar maturity balance in all grape varieties is a challenge in both warm climates and cool regions. Through extensive research, Lallemand has developed two products that not only address this maturity challenge but also encourage the concentration of aroma precursors, increased anthocyanin extractability and improved mouthfeel and texture. LalVigne® is an inactivated yeast, produced by a patent-pending process that is applied as a foliar spray on the vines at 5% veraison and again 10 -12 days later. We invite you to join Rack & Riddle and Scott Laboratories for a focused seminar highlighting the latest research and innovation in Sparkling Wine Production. The agenda will cover a wide range of topics by some of the foremost experts in the industry. Please see below invitations with details. Dates are April 23rd in Healdsburg at H2 Hotel and April 24th in Napa at the Embassy Suites. Seminars will be from 9am to 12pm with a tasting and lunch to follow. Malolactic fermentation not only converts malic acid to lactic acid but also has a direct impact on wine quality. Uncontrolled spontaneous malolactic fermentations or wild lactic acid bacteria can result in diminished varietal and fruit flavors, reduced esters, masked aromas and off-characters. Read more about ML bacteria or review our ML brochure for helpful tips in choosing a strain and other guidelines for healthy MLF's. Our portfolio includes strategies for many of the common challenges encountered during sluggish malolactic fermentations. Cold cellar? Try O-MEGA™, a strain known for its higher alcohol and lower temperature tolerance. Having some sluggish finishers? Try Opti'Malo Blanc for whites or ML Red Boost for reds for additional protection and nutrients. Want the ease of inoculating directly in the barrel? Malotabs™ are an easy-to-use effervescent form of malolactic bacteria for direct addition into barrels. Tip: If you're adding more SO2 because of rot, make sure to check your free and total SO2 prior to inoculating with bacteria. Uncontrolled spontaneous malolactic fermentations or wild lactic acid bacteria can result in diminished varietal and fruit flavors, reduced esters, masked aromas and off-characters. The importance of choosing a selected strain has increased due to evolving winemaking preferences (e.g. higher pH levels, lower SOâ, higher alcohol, etc.). The use of selected malolactic strains can contribute positively to wines while minimizing risks. Review our ML brochure for helpful tips in choosing a strain and other guidelines for healthy MLF's. You can also contact us at 707-765-6666 to discuss the right option for your ML needs. Thanks to everyone that stopped by to say hello during the 2018 Unified Wine & Grape Symposium. It's always a great chance to meet our customers. We hope you had a chance to check out some of the equipment that was on display in our booth since now is a great time to evaluate your crushpad & press equipment needs. For more information, please contact u at (707) 765-6666 or info@scottlab.com. In response to overwhelming customer request, Scott Laboratories is proud to now offer a full range of ScottTin™ tin capsules. Just released at the Unified Symposium in 2018, ScottTin offers superior quality and makes it easy to beautifully showcase your brand all backed by the outstanding service you've come to expect from Scott Laboratories. ScottTin is available in a range of stock colors, as well as custom options to express your wine's personality. Please stop by and say hello and check out our latest offerings! You can find us in the main showroom in booths 800 and 801, as well as upstairs at booth 2605. Downstairs booths 800 & 801 will house our Equipment, Packaging, and Filtration sectors, while upstairs will showcase our Fermentation and Cleaning products. 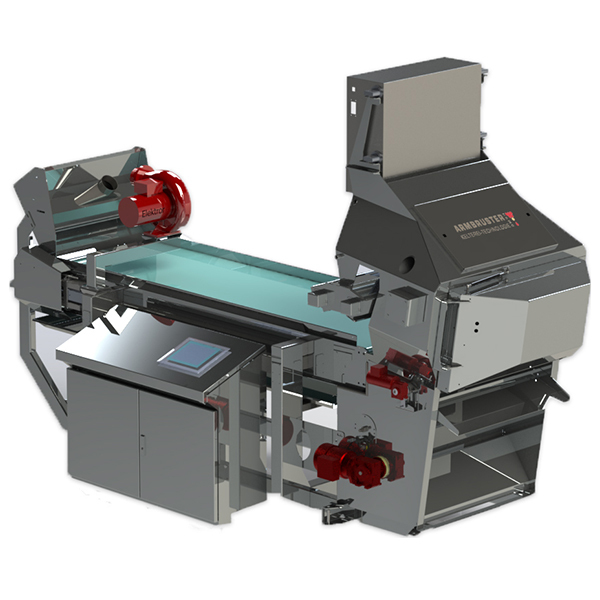 We will be introducing the latest from Armbruster crush pad equipment, including the NEW GrapeSort Optical Sorter and the NEW Double RollerSorter. From the filtration experts VLS Technologies, we are unveiling the UNICO filter, a two-in-one system for wine and lees. Come by to learn all about the latest crush pad technology and how you can benefit. See you there! Having issues with a stuck fermentation? You can reference our new recommended method to restart a stuck fermentationusing UvaFerm 43 Restart and Reskue™. When restarting a sluggish or stuck fermentation, adding Reskue™ to the stuck wine prior to restarting the fermentation may help reduce accumulated toxins and improve chances for a successful restart. An appropriate yeast rehydration nutrient such as Go-Ferm Protect Evolution® is a useful tool because it is rich in micronutrients and survival factors. Consequently, the selected restart yeast can acclimate more easily to the potentially hostile environments (i.e. high alcohol) associated with stuck fermentations. When stuck wines include high residual sugar levels, an addition of a complex nutrient, such as Fermaid O, to the stuck wine is also recommended to help with sugar uptake. In addition, spoilage organisms like Lactobacillus and Oenococcus are often present in stuck fermentations. These microorganisms can compete for nutrients and release metabolites that inhibit yeast growth. Adding Lysozyme or Bactiless (Call us to determine which product meets your specific needs, as Bactiless will inhibit any additional ML from starting) to the stuck wine prior to restarting the fermentation may help control such unwanted bacteria and provide an improved environment for the restart to take place. See you at the WIN Expo on 11/30! 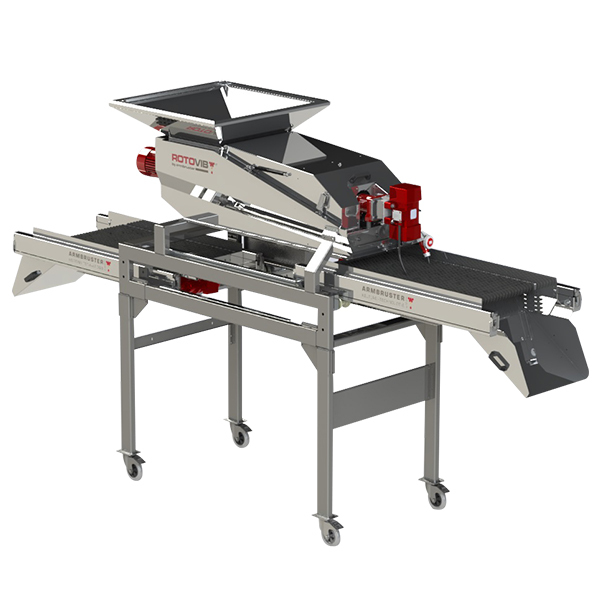 Stop by booth #149 to check out the Armbruster Rotovib with DOUBLE Rollersorter - the latest technology in grape destemming! Staff will be available to answer any questions and discuss your crushpad setup for the 2018 harvest. We will also be available to talk about your filtration, fermentation and packaging needs. Scott Laboratories now offers digital printing on any of the 8 stock colors of our ScottCap screw caps, available on orders as few as 1,000 caps. ScottCap offers a variety of stock and custom colors, decorated caps, and digital printing at very competitive pricing. As with all Scott Laboratories products, the focus is on assuring that our customers are supplied with a high-quality closure that compliments their overall package and also performs during application. Malolactic fermentation not only converts malic acid to lactic acid, but also has a direct impact on wine quality. Uncontrolled spontaneous malolactic fermentations or wild lactic acid bacteria can result in diminished varietal and fruit flavors, reduced esters, masked aromas and off-characters. Read more about ML bacteria or review our ML brochure for helpful tips in choosing a strain and other guidelines for healthy MLF's. As the harvest comes to a close, we wanted to remind you that our portfolio includes strategies for many of the common challenges encountered during sluggish malolactic fermentations. Want the ease of inoculating directly in the barrel? Malotabs™ are a easy-to-use effervescent form of malolactic bacteria for direct addition into barrels. Uncontrolled spontaneous malolactic fermentations or wild lactic acid bacteria can result in diminished varietal and fruit flavors, reduced esters, masked aromas and off-characters. The importance of choosing a selected strain has increased due to evolving winemaking preferences (e.g. higher pH levels, lower SO₂, higher alcohol, etc.). The use of selected malolactic strains can contribute positively to wines while minimizing risks. Review our ML brochure for helpful tips in choosing a strain and other guidelines for healthy MLF's. You can also contact us at 707-765-6666 to discuss the right option for your ML needs. A recent study from Oregon State University, found here,has concluded that although winemakers should still be using sound winemaking practices such as rigorous sanitation and SO2 and pH management to control the growth of Brettanomyces in their wine, the presence of high populations of O.oeni at the end of malolactic fermentation can limit the presence of Brettanomyces. A fast malolactic fermentation with inoculated cultures also minimizes the time that the wine is not protected by SO2 and will limit Brett. The 2017 harvest seems to be challenging for many and this includes problems with stuck fermentations. To help address this, we wanted to make sure you had access to our recommended method to restart a stuck fermentation using UvaFerm 43 Restart. When restarting a sluggish or stuck fermentation, adding Reskue™ to the stuck wine prior to restarting the fermentation may help reduce accumulated toxins and improve chances for a successful restart. Also, it is essential to address yeast biomass buildup together with the low nutrient levels. An appropriate yeast rehydration nutrient such as Go-Ferm Protect Evolution® is a very useful tool. Rich in micronutrients and survival factors, when Go-Ferm Protect Evolution is added to the rehydration water, these factors promote increased biomass of the selected yeast strain. Consequently, the selected restart yeast can acclimate more easily to the potentially hostile environments (i.e. high alcohol) associated with stuck fermentations. When stuck wines include high residual sugar levels, an addition of a complex nutrient to the stuck wine is also recommended. In addition, spoilage organisms like Lactobacillus and Pediococcus are often present in stuck fermentations. These microorganisms can compete for nutrients and release metabolites that inhibit yeast growth. Adding Lysozyme to the stuck wine prior to restarting the fermentation may help control such unwanted bacteria and provide an improved environment for the restart to take place. Lastly, adding a fermentation nutrient such as Fermaid® Osignificantly aids in sugar uptake and helps render your fermentation successful! Our fermentation team is always available to answer questions or provide technical support at (707) 765-6666 or fermentation@scottlab.com. One of the primary concerns of the enologist during winemaking is to ensure a steady and complete fermentation so that all of the sugars in the must are converted into alcohol. This should be done in order to avoid any unpleasant surprises that could arise, including a stuck fermentation or problems due to secondary metabolisms detrimental to the aroma and taste of the wine. 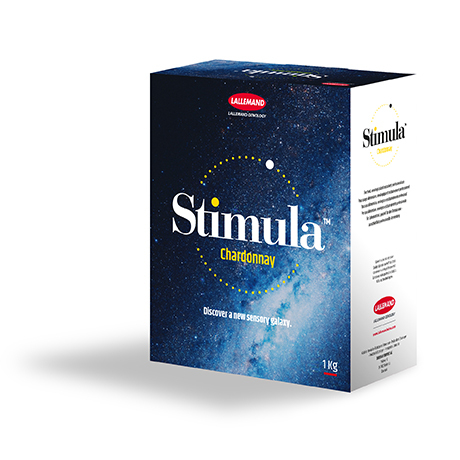 Nourished with micronutrients (the vitamins and minerals available in the must), sterols are responsible for maintaining the integrity of the yeast cell membrane and increasing its resistance to ethanol. The protection and nutrition of yeast are consecutive and complementary steps. Their benefits should be combined to ensure good alcoholic fermentation, with no problems with a stuck fermentation or secondary metabolisms compromising the quality of the wine. In recent years, the use of selected yeasts in winemaking has become widespread, allowing greater control of the alcoholic fermentation and reducing the risk of unwanted sensory effects resulting from the growth and metabolism of contaminating indigenous yeast. However, a lack of nutrients in the fermentation medium, as is the case in very mature harvests (rich in sugars and polyphenols), harvests with Botrytis, highly clarified musts with low turbidity, and in the presence of inhibiting substances, can lead to slow or stuck fermentations. At the end of the fermentation process, the yeast suffers a high degree of stress due to the high alcohol concentration and the difficulties in transporting residual sugars: the alcohol diffuses through the membrane and kills the cell. During the rehydration phase, protected yeast maintains a very high viability rate. Its membrane, rich in sterols and PUFA is able to withstand high concentrations of alcohol and prevent the alcohol from entering the cells. With this protection, the yeast can finish consuming all the sugars in the must. Healthy and stress-free yeast cells do not produce excessive amounts of undesirable compounds or volatile acidity. Protecting the yeast guarantees that the end of the fermentation is faster and safer. • The reactivation of the internal metabolism thanks to the micronutrients. The yeast cells have more time to reinforce their cell membranes before being incorporated to the must. • Reducing the production of undesirable compounds, such as volatile acidity, H2S, etc. 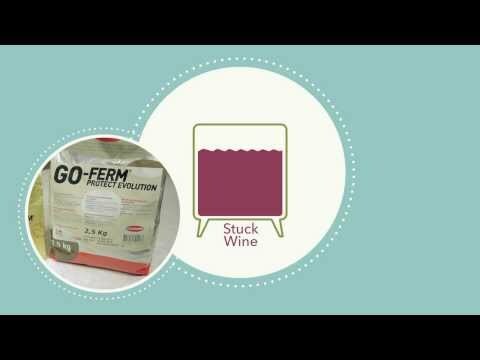 The use of GO-FERM™ or GO-FERM PROTECT EVOLUTION™ during a stuck fermentation, or even with problem must, will help incorporate sterols and polyunsaturated fatty acids (for cell protection) along with vitamins and minerals to ensure yeast survival and maintain fermentation activity to completion. Scott Labs - Rehydration Protocol - Lallemand from Scott Laboratories on Vimeo. To maximize diacetyl: choose a strain with a high potential for diacetyl production (Betaand PN4). To minimize diacetyl: choose a neutral strain (VP41 or O-Mega). To maximize: the shorter the contact time with yeast and bacteria, the higher the diacetyl. Rack off the lees or wait a few days for the yeast to die off after primary fermentation before adding bacteria. The living yeast and bacteria break down the diacetyl levels irreversibly. To minimize: the longer the contact time with yeast and bacteria, the lower the diacetyl. The living yeast and bacteria break down the diacetyl levels irreversibly. To maximize: add malolactic bacteria after primary fermentation for a sequential fermentation. Filtering the wine to remove yeast or racking off the lees will contribute to higher diacetyl levels. Generally, the diacetyl level is highest right when the malic acid is depleted. To minimize: a simultaneous alcoholic/malolactic fermentation will tend to produce a more fruit forward style. As the diacetyl is being produced, the yeast and bacteria will break it down. If bacteria is added after alcoholic fermentation, let the wine stay on the lees until a desired level of diacetyl is reached. To maximize: the longer the malolactic fermentation (MLF) the higher the diacetyl. To minimize: the faster the malolactic fermentation (MLF), the lower the diacetyl. To maximize: lower pH and temperature conditions favor higher diacetyl because MLF will be slower under these conditions. To minimize: higher pH and temperature conditions favor lower diacetyl levels because the MLF is faster. To maximize: stir the wine during MLF to avoid reductive conditions and to allow slight oxidative conditions. The higher redox potential will tend to favor the production of diacetyl rather than a reduction to acetoin and 2, 3-butanediol, which do not contribute to the overall aroma of the wine. To minimize: try not to stir the wine during MLF. The lower redox potential will tend to favor the production of acetoin and 2, 3-butanediol (rather than diacetyl) which do not contribute to the overall aroma of the wine. To maximize: S02 binds to diacetyl in a reversible reaction. When adding S02 the diacetyl level will seem to disappear, but over time the reaction will reverse and the diacetyl will be released back into the wine. S02 also inhibits yeast and bacteria activity and can stabilize the diacetyl content at the time of addition. To minimize: S02 binds to diacetyl in a reversible reaction. Initially the diacetyl level will seem to disappear, but over time the reaction will reverse and the diacetyl will be released. Wait for the malic and citric acids to be utilized before adding sulfites. Follow the progression of diacetyl and stabilize when it reaches the desired level. To maximize: lower bacteria inoculation rates result in higher diacetyl wines. To minimize: higher bacteria inoculation rates result in lower diacetyl wines. 'Rotten egg' is the term often used to describe hydrogen sulfide (H2S) in the wine matrix. This compound has a low sensory threshold and can be detected at levels between 0.9 – 1.5 ppb, although if present at lower levels, the fruity notes of the wine may be dulled. Sulfur based compounds do not spontaneously appear, they are produced during fermentation by Saccharomyces cerevisiae cells in response to their environment. The amount of H2S which is produced depends on both the environmental factors and the genetic background of the yeast. During the winemaking process, hydrogen sulfide production has been linked to many parameters including: level of solids (turbidity), nitrogen and vitamin concentrations, inadequate mixing and aeration, as well as the size and shape of vessel employed. Ultimately, the outcome of these variables is dependent upon the juice/must conditions, its composition, as well as the growth conditions of the yeast. Further simplifying an extremely complex and poorly understood process, yeast strains with the inability to balance both the production and incorporation of sulfur compounds can result in the release of volatile sulfur compounds into the wine. It is somewhat challenging to take all of these variables into consideration and predict the behavior of the yeast strain you are using. With recent advances in molecular biology, we have been able to evaluate the actual genes involved in Sulfide production via a technique known as quantitative trait loci mapping (QTL). QTL mapping allows us to evaluate the sequence of the DNA that is responsible for the production of the characteristics of interest. The physiological environment of the yeast is, within reason, controlled by the winemaker. However, the genetic predisposition of the yeast and the varying capacity of the strains to produce H2S depending on their environment is much more challenging to predict. With recent advances in molecular biology, we have been able to evaluate the actual genes involved in Sulfide production via a technique known as quantitative trait loci mapping (QTL). QTL mapping allows us to evaluate the sequence of the DNA that is responsible for the production of the characteristics of interest. If we apply natural breeding techniques and look for the presence or absence of the genes that convey the traits, in this case H2S, we can select daughter cells that no longer have the ability to produce negative compounds! This is not a GMO technique; this is simply a natural approach which brings new strains into our toolbox. Lalvin ICV OKAY has a very short lag phase, low nutrient requirements and alcohol tolerance to 16% (v/v). Very low production of acetaldehyde, SO2 and H2S. Recommended for fresh and aromatic wines. Very good compatibility with malolactic fermentation. Lalvin Sensy™ has a short lag phase, low nutrient demand with a moderate fermentation rate, alcohol tolerance up to 14.5% (v/v) and a temperature tolerance of 12–18°C(54–64°F). In aromatic white wines, Sensy is known for respecting varietal aromas with balanced mouthfeel and freshness. It is malolactic bacteria friendly. IONYSWF was selected for its ability to significantly retain must/juice acidity during fermentation. Be Fruits reveals fruity esters in white and rosé wines. IONYSWF was selected for its ability to significantly retain must/juice acidity during fermentation. IONYSWF is recommended for fermenting reds from warmer climates with high pH and high potential alochol. The acidification 'power' of IONYSWF may result in a total acidity difference of 0.4 - 1.4 g/L tartaric acid and a pH decrease of between 0.04 - 0.2. With proper nutrition and temperature control, wines made with IONYSWF are characterized as having fresh fruit and mineral characters and fine-grain tannins. Learn more about IONYSWF. Be Fruits specialty yeast reveals fruity esters such as strawberry, pineapple and other citrus notes in white and rosé wines. The pure expression of the fruit is emphasized by the ability of the yeast to reduce the acetaldehyde formation, while lmiting sulfite production. Be Fruits is an excellent tool to produce wine and rosé wines that convey intense fresh fruit aromas, while limiting sulfite contents at the lowest rate. Lean more about Be Fruits. The Alchemy range is a scientifically formulated blend of wine yeast strains created in collaboration with the Australian Wine Research Institute (AWRI). These yeast blends have been developed specifically for the production of New World style aromatic red wines and are formulated to provide optimum aromatic profiles. Alchemy III is a yeast blend specifically developed for complex red wines. It is a high producer of fruit and floral aromas, including 2-phenylethanol (rose), 2-phenylethyl acetate (floral and fruity), ß-ionone (raspberry) and acetate esters (fruity and candy). It produces complex wines with good structure and body, and is suitable for all red varietals. Learn more about Alchemy III. Alchemy IV is a yeast blend that was specifically developed for the production of intense red fruit characters, such as cherry, raspberry, red currant and pomegranate. It is a high producer of ethyl esters, which contributes to the longevity of the fruit aromas. Alchemy IV is suitable for all red varietals. It produces smooth, round wines with heightened aroma intensity. Learn more about Alchemy IV. The current Alchemy range also includes Alchemy I and II, both of which were formulated for use in white wines. To learn more about the complete range of Alchemy yeast blends, see the new Specialty Yeast section on page 24 in Scott Laboratories’ 2017 Fermentation Handbook, or visit www.scottlab.com. "We were using 40-50 gallons per rinse, times three rounds. Now we’re down to just 40-50 gallons total. We’re saving water and energy." Tanks require 15 minutes of contact with the product and there can be tank-to-tank reuse if temperature and pH are maintained. “We use pH strips as a simple check for neutralization. It doesn’t have to be an expensive piece of equipment,” says Eric. To clean the bottling line, they run it for 15 minutes, stop, let it the product sit, and run the line for another 10 minutes. Additionally, Eric has found costs to be comparable due to time savings. He also notes, “There’s less wear and tear on equipment, using pumps, etc., which means less maintenance.” The product is also safer for his team, eliminating risk of citric burns. Eric says, “We conserve as much as we can.” For Judd’s Hill, the benefits of Destainex make sense. Winemakers and grape growers are constantly looking for opportunities to improve quality. Achieving phenolic and sugar maturity balance in all grape varieties is a challenge in both warm climates and cool regions. Through extensive research, Lallemand has developed 2 products that not only address this maturity challenge, but also encourage the concentration of aroma precursors, increased anthocyanin extractability and improved mouthfeel and texture. LalVigne® is an inactivated yeast, produced by a patent pending process that is applied as a foliar spray on the vines at 5% veraison and again 10 -12 days later. The LUXE tannins are ultra-premium finishing tannins designed to bring out elegance, complexity and balance in premier wines. They have been highly refined and carefully extracted so additions may be made as late as 48 hours prior to bottling. 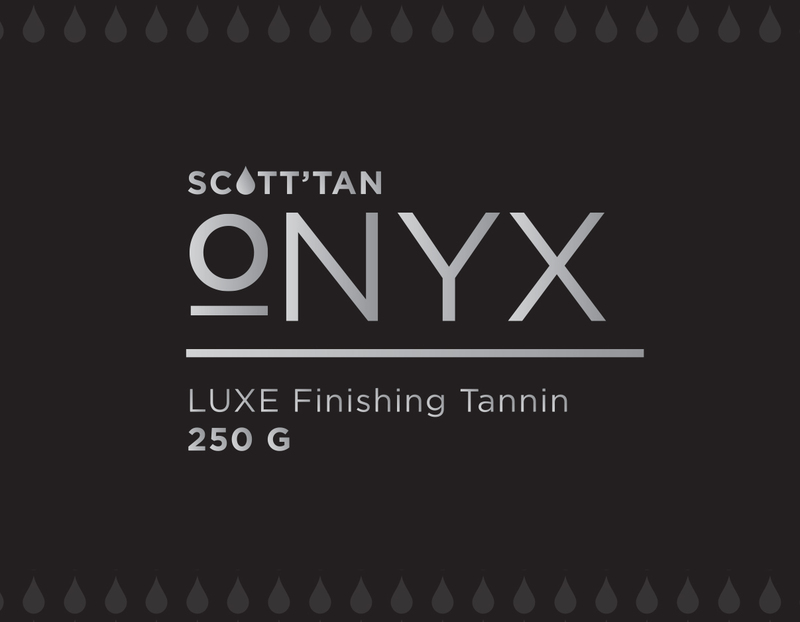 Our LUXE liquid tannin kits include samples of each tannin in the range: Radiance, Onyx, and Royal. These kits are a great tool to dial in these final touches to your wine. Visit our website for more information on these and other Scott'Tan tannins. Or give us a call at 707-765-6666 - we'd be happy to recommend a particular product for your specific use. Choosing a filter grade or porosity to start your filtration, and then picking the subsequent step-down grades can be challenging. One way to choose the proper grade is by taking meticulous notes during every filtration. This will help improve your instinct and anecdotal experience. With time and experience you might be drawn to certain grades, for example, a K700 micron to a K200 to an EK. Another popular step-down is a K800 to a K250 to a KS50. If you choose to have more than three passes, a K900 to a K300 to a K100 and then the EK is also a well-known path. Whenever possible, avoid skipping more than three grades per pass. For example, going from a K900 to a K200, or a K700 to a K100, is too big of a jump and throughput on the tighter grade will be less than optimal. It’s important to keep in mind that using your trusted sequence every time might not be the right fit for every product, or even the same product over different vintages or batches. • A good pre-clarification program that is not limited to multiple rackings, using a smart fining program (which doesn’t have to change your product, only clarify it) or just plain old time and gravity, can all help to minimize passes through filter media. • The more scientific approach in choosing porosity is to measure the turbidity of the product to get an idea what the percentage of suspended solids are, and then use the guide below to choose the proper grade. Starting too tight may strip your product of color, mouthfeel and flavor. In addition, throughput would be less than stellar. Starting too coarse could result in very little change in turbidity, and wasteful passes in filtration when fewer could’ve gotten the job done. • Although turbidity is a good indicator of clarity, it doesn’t provide much information about the types of colloids you are dealing with. It is also not the silver bullet to guaranteeing that you will plug the filter grade you chose. • Colloids make up most of the things we love like color, flavor, mouthfeel and weight. But there are also specific colloids like beta-glucans that are produced by Botrytis that can wreak havoc on even the coarsest filter media. They require a quality beta-glucanase enzyme, such as Lallzyme MMX, to keep them from ruining your bottling day (it’s important to note that the contact time for this specific problem colloid with the MMX is 6 weeks). Another colloid that can be quite detrimental to filter media is pectin. A good pectinase early in the production process, and/or after fermentation can improve throughput dramatically. • Turbidity analysis can be measured at a lab or with your own nephelometer, which is available in handheld and bigger benchtop models. Please contact Scott Laboratories for assistance with choosing the right fining agent or enzyme for your product. We strongly recommend bench trials and taking notes for every filtration. Note: Some producers, like breweries, who just want a bit of a polish and don’t plan to go through a sterile filtration by means of an absolute cartridge filter, do a single pass through a medium grade porosity before going to their packaging. Usually these producers have an effective fining program in place so that they are able to filter less, and at the same time, have minimal stripping of color, flavor and mouthfeel. The other bonus is that they will have an increased consistency in clarity over the course of the filtration. A quick look at our laser branding machine inside our cork processing plant in Petaluma, CA. Visit www.scottlab.com for more information! Scott Laboratories is pleased to announce that Bactiless™, a new product from Lallemand to control spoilage bacteria in wine, has been approved under TTB 24.250 for continual use in wine. Bactiless is a 100% natural, non-allergenic form of chitin-glucan from a non-GMO strain of Aspergillus niger, which has been formulated to help control bacterial populations in wines post-fermentation. Bactiless helps to lower the viable acetic acid and lactic acid bacterial (LAB) populations, while having minimal effect on yeast populations. This polysaccharide can be used to stabilize wines post malolactic fermentation, or it can be used to inhibit malolactic fermentation. There is a minimum contact time of 10 days and the wine should be racked post treatment. Bactiless helps to avoid the negative sensory impact caused by spoilage bacteria such as acetic acid and biogenic amines. Bactiless recently received a special award from Intervitis Interfructa Hortitechnica for this innovative approach to bacterial control during the winemaking aging process. Come Visit us at Unified, Booth 800 & 801! Please stop by booth 800 & 801 to see all of Scott Laboratories' current offerings. We will have several machines on display, including a Rotovib® Destemmer, VLS Crossflow filter, and the new GRAPESORT Optical Sorting Machine. All of these machines will be on display as part of a full custom crushpad setup along with many others. Information about all of our equipment offerings will also be available. After many years of offering high quality cork and closure products, Scott Labs has partnered with Capmetal in France to distribute screw caps under the name ScottCap. ScottCap offers a variety of stock colors as well as custom colors, liner options and decorated caps; come and check them out! We will also have a wide range of stock and custom wirehoods availble to view, and of course, an array of cork samples. Our Filtration Specialist, Maria Peterson, will be on-hand to demonstrate equipment and media and answer any questions you may have. We encourage you to stop by and chat with one of our many on-site experts for any of your Fermentation, Filtration, Equipment or Packaging needs. We hope to see you there! As this harvest comes to a close, it's important to use best cleaning and sanitation practices to prepare for a successful crush next year. We have just the line-up of products to make your post-harvest cleaning as effortless as possible with effective results. AiRD cleaning products are designed specifically for the wine industry and provide significant water savings since no citric rinse is required. They are safer and have less environmental impact than bulk chemical cleaners. Visit our website for more information. If you need a refresher on how to restart a stuck fermentation this time of year, check out our video below. When restarting a sluggish or stuck fermentation, it is essential to address yeast biomass buildup together with the low nutrient levels. Appropriate yeast rehydration nutrients such as Go-Ferm and Go-Ferm Protect Evolution are useful tools. Both are rich in micronutrients and survival factors. When added to the rehydration water, these factors promote increased biomass of the selected yeast strain. 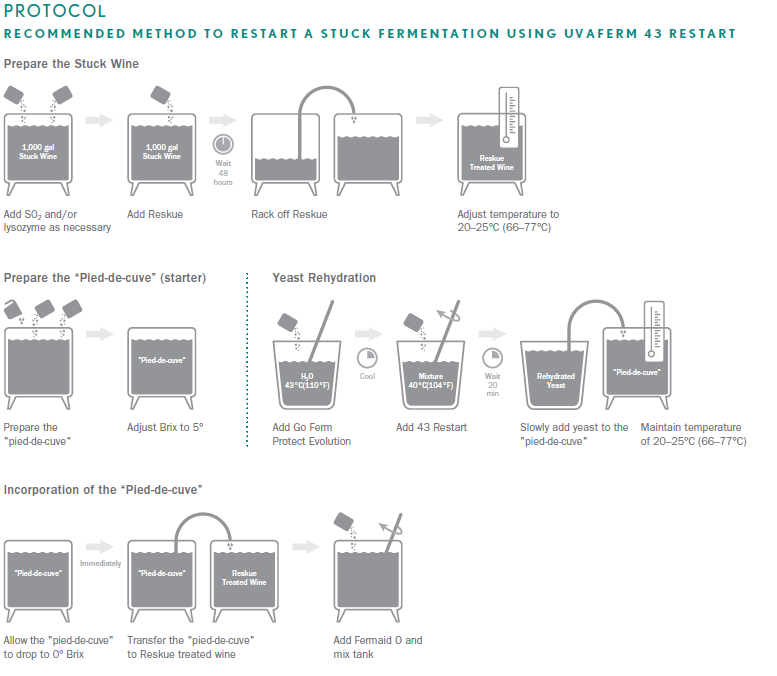 Consequently, the selected restart yeast can acclimate more easily to the potentially hostile environments (including high alcohol and low temperature) associated with stuck fermentations. Browse our entire video library while you're there - there are also helpful videos on how to rehydrate your yeast, how to set up filtration equipment and more. Scott Labs - Recommended Method to Restart Stuck Fermentations from Scott Laboratories on Vimeo. Now Offering Courier Service to San Luis Obispo and Santa Barbara Counties! Scott Laboratories is pleased to now offer delivery service throughout San Luis Obispo and Santa Barbara counties! Minimal delivery charges apply, please inquire for more information about applicable zones and pricing. Delivery service will be intermittently available on Fridays and Saturdays (during harvest). Please call for more details. Orders must be placed by 4:00 pm the previous day to qualify for delivery. We look forward to providing the most convenient service possible to help you ensure a successful harvest. Please don't hesitate to contact us with any questions. Email: pasocourier@scottlab.com or call 707-765-6666 to place your order. Please be sure to mention that this is a courier order when placing your order. One of the primary concerns of the enologist during winemaking is to ensure steady and complete fermentation so all the sugars in the must are converted into alcohol. This should be done in order to avoid any unpleasant surprises that could arise with stuck fermentation or problems due to secondary metabolisms detrimental to the aroma and taste of the wine. Proper yeast rehydration is one of the most important steps to help ensure a strong and healthy fermentation. Ensure you're starting harvest off right by refreshing with our video on Yeast Rehydration. The Quantitative Trait Loci (QTL) technique is a quantitative genetics process used to identify genes by their character traits and location on an organism’s genome. QTL has been used to identify, on a molecular level, properties and attributes for individual enological yeast strains. When a desired trait is identified on a strain’s genome, that strain can then be naturally crossed with a chosen enological strain known for its fermentation properties. The desired trait is transferred to the chosen strain by natural breeding between the strains. No. The resulting yeast are all from natural breeding. Do these strains produce H2S or S02? These optimized strains do not produce H2S or SO2, but commonly musts are not sterile and other present organisms may produce these byproducts. Do OKAY® and Sensy™ consume SO2 during alcoholic fermentation? SO2 is usually consumed by Saccharomyces yeast through the sulfate pathway metabolism. The specific metabolisms of OKAY® and Sensy™ utilize SO2 directly to synthesize two essential amino acids containing sulfur, thus avoiding the release of H2S. How does the low acetaldehyde production of OKAY® and Sensy™ affect your SO2 additions? The low acetaldehyde production reduces the consumption of free SO2, which may allow for lower total SO2 additions. 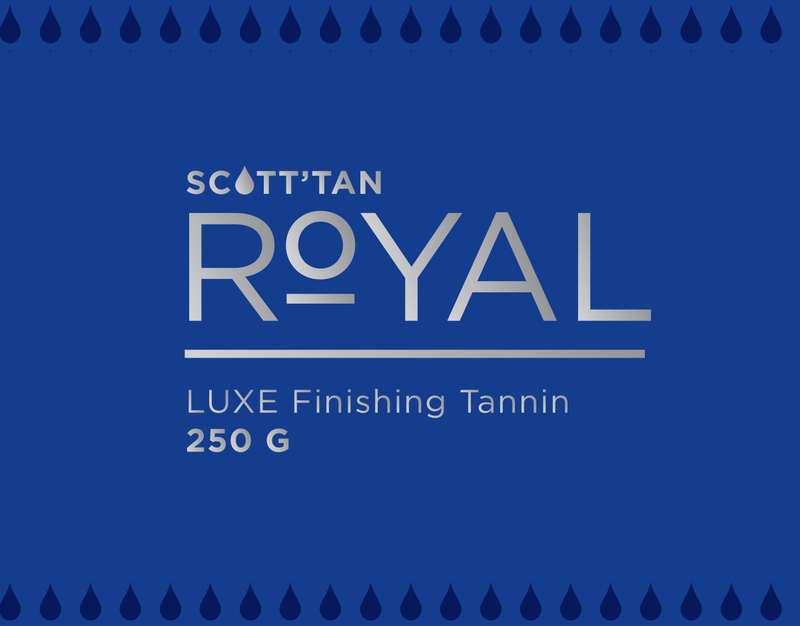 Scott’Tan Royal is derived from American oak. It may be used in red and white wines to add structure, balance and length on the palate. Royal is a good complement for wines aged with American oak. It is known to bring out hints of cocoa, chocolate, coffee and butterscotch. Royal has also been known to help mitigate the off aromas and flavors of Brettanomyces. LalVigne® is a new organic yeast derivative foliar spray from Lallemand’s worldwide research and development network. A single vineyard treatment with LalVigne consists of only two applications. The first spray is done at 5% veraison and the second spray is done 10-12 days later. LalVigne® is easily suspended in water and applied using a spray rig or hand sprayer. All winegrowers face the harvest challenge of achieving phenolic and enological maturity at the same time. The application of LalVigne has been shown to encourage the concentration of aroma precursors in grapes and has a noted impact on the timing of the phenolic maturity. In warmer wine regions, ideal conditions for spraying are before the heat of the day. Optimal sugar levels are often reached far in advance of other critical factors such as phenolic maturity. This means that the harvest date is usually chosen due to potential alcohol levels rather than other wine quality parameters. In cooler regions, a window of 24 hours between rains is needed to get the maximum effect. Intermittent rain after this point will not affect the efficacy of the product. Phenolic maturity can be difficult to reach. Complicating factors include the onset of rain, early frosts, the grape variety itself, and vines susceptible to Botrytis. In many cases, the harvest date ends up being determined by external factors and NOT by grape maturity. LalVigne trials have been conducted in vineyards located all over the world. From these trials, LalVigne has been shown to have an observed positive impact on mouthfeel and structure as well as on both methoxypyrazine levels; also known as the “greenness” in a wine. For more technical details about Lalvigne, please click here. The Mazzei injector pump over device is a simple, highly engineered venturi which can introduce large but controlled amounts of air into an active fermentation. This infuses the must with oxygen and promotes a healthy yeast population. Unlike competing devices, the Mazzei injector can be placed directly on the discharge of the pump and still provide air injection, even against typical tank head pressure. The Mazzei also makes it easy to do liquid additions to tanks during a recirculation. Connect the Mazzei injector on the discharge of your pump which is set to recirculate a tank. Drop a short suction hose into the vessel containing your mixed addition (fining agent, carbon, tannin, anything liquid). When the pump is running the venturi will draw from that vessel at a rate you determine with a throttling valve. No need for a stand-alone dosing machine. No hauling buckets of stuff up to the top of the tank. Additions can be made safely from the cellar floor. Mazzei can also provide economic solutions for reducing odors and enhancing wastewater treatment. Please visit the Mazzei website for more information. Visit www.scottlab.com for products specs. Some of the things we love about the Seitz Supradisc II lenticular filters are that they are backflushable, hot water or steam sanitizable and storable. This means you can use them over and over again without the media warping; until they are full of solids or when a regeneration procedure doesn’t bring the differential pressure back down. In this document we will discuss the best solutions for storing your modules correctly between uses to ensure longer use and higher throughput. They are always stored in a liquid solution and shouldn’t be allowed to dry out between uses. You can either store your modules inside the housing or find a suitable container with a lid where they can be weighed down to keep them fully submerged in the storage solution. For storage of longer than two days, we recommend removing the silicone gaskets or O-rings on the modules, otherwise they will become brittle and cracked and break up into little pieces. A brew fermentation bucket that is not tapered is suitable for the 12” modules whereas food grade plastic trashcans or Rubbermaid totes with lids are suitable for the 16” modules. If you choose to store your modules in vodka or your own produced spirits, make sure that it doesn’t exceed 135 degrees proof but it should be at least 40 degrees proof. Whenchoosing this method be aware that your module should be purged with gas before storage to ensure that little to no dilution of the alcohol takes place. If the alcohol % gets under 20%, you can get spoilage inside the module. Therefore, we only recommend using this method on 12” modules. 16” modules tend to take a lot more alcohol and we sometimes see poor distribution of the alcohol within the depth of the media which can cause spoilage. When choosing this method, it is a good idea to run this pickle through the modules before removing them into their respective storage containers to make sure you have even distribution. We recommend that the pH of the solution is pH 2.0 or lower and that you always maintain a 100 – 200ppm SO2 concentration. You may need to add more SO2 periodically. I like adding an effervescent SO2 tablet every now and then to make sure the SO2 level is high enough and that the citric acid solution hasn’t started to be spoiled by lactic acid bacteria. Take care not to breathe in the fumes. At such a low pH, the SO2 will be quite pungent. Perhaps my favorite solution of storing modules, this method is typically used in the brewing industry where citric acid isn’t typically used and the absence of citric acid in your waste water is preferred. Nitric acid and phosphoric acid aren’t assimilable by microorganisms so you don’t need to add additional SO2. Food grade Nitric Acid/Phosphoric acid blends are widely used as sanitizers but also makes a great storage solution. Make sure that the solution contains no surfactants which may be tough to rinse out. You can make a pH of 3.5 solution and store your modules in this without having to add additional preservatives over time. Join Team Scott Labs in the 3rd Annual Tour de Cure! After a huge success last year, Scott Laboratories is excited to again participate in the Napa Tour de Cure. We invite our customers, colleagues, family and friends to join us. Last year we raised $67,000 and were in the top 25 nationally for fundraising! This year, we hope to top that and raise at least $75,000. The event is May 1, 2016 and we want you on our team! Click here to join us or donate to the cause. View the 2016 Team Scott Lab Kit - deadline to order is Monday, Feb. 22! Fundraising: Each rider must raise at least $250 to participate. Scott Laboratories will contribute $100 to each of the first 100 riders to reach their fundraising minimum! Contact us with any questions by email at tourinfo@scottlab.com. We hope to see you there! Come Visit us at Unified, Booth 800! Please stop by booth 800 to see all Scott Laboratories current offerings. We will have several machines on display, including a VLS Crossflow filter, Rotovib Destemmer and ET-V Vibrating Hopper. 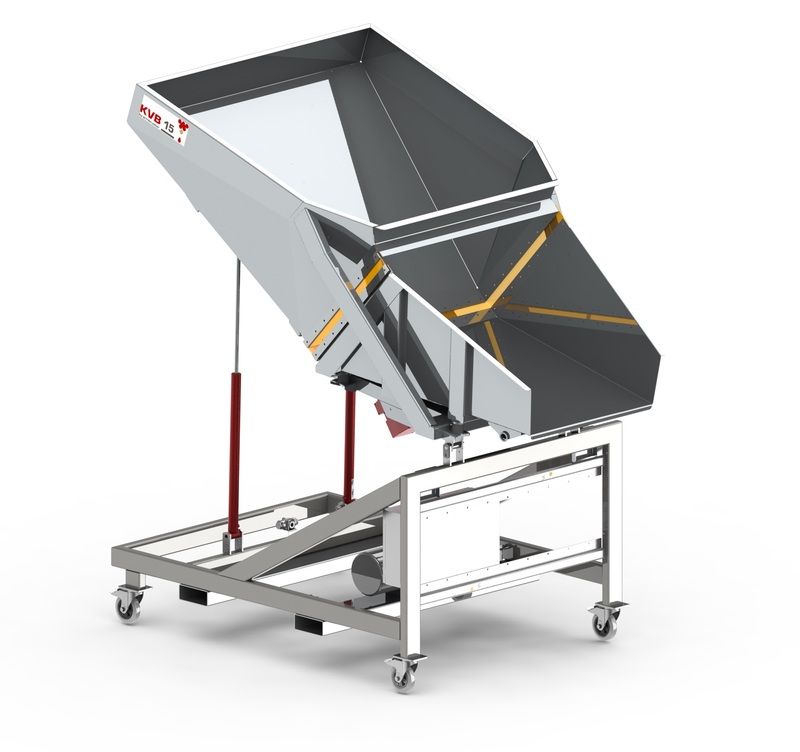 We are also excited to introduce the new VLS Crossflow for Lees. Though not on display, we will have information available about this new offering. After many years of offering high quality cork and closure products, Scott Labs has partnered with Capmetal in France to distribute screw caps under the name ScottCap. ScottCap offers a variety of stock colors as well as custom colors, liner options and decorated caps. LalVigne family of products (Aroma, Mature, LA, LM) are foliar sprays applied in the vineyard at veraison. Studies have demonstrated increased glutathione levels, reduced IBMP levels and improved phenolic maturity. LA/LM are available in CA, TX, MN and OH. Aroma and Mature are available in AK, AZ, AR, CT, DE, FL, GA, IL, IN, IA, KS, KY, LA, MA, MI, MO, MT, NE, NV, NH, NJ, NY, NC, OR, RI, UT, VA, WA, WY. We encourage you to stop by and chat with one of our many on-site experts for any of your Fermentation, Filtration, Equipment or Packaging needs. We also have a booth upstairs #2605 featuring all of our filtration media. Our Filtration Specialist, Maria Peterson, will be on-hand to demonstrate equipment and media and answer any questions you may have. Introducing the new Crossflow for lees from Velo Liquid Solutions. Stainless steel membranes with high mechanical and chemical resistance. Thursday, Nov. 26 - Closed for Thanksgiving. Friday, Nov. 27 - Closed for Thanksgiving. Monday, Nov. 30 - Office is open, but NO product can be released this day. We will resume regular hours and shipping on Tuesday, Dec. 1. We realize this may cause in inconvenience and thank you in advance for your patience and cooperation during this time. If you have any urgent orders, please be sure to order before the Thanksgiving holiday. Recent research, specifically trials done at The Australian Wine Research Institute (AWRI), show that in addition to reducing acidity and stabilizing wine, MLF may also be used to shape a wine's aroma and flavor. 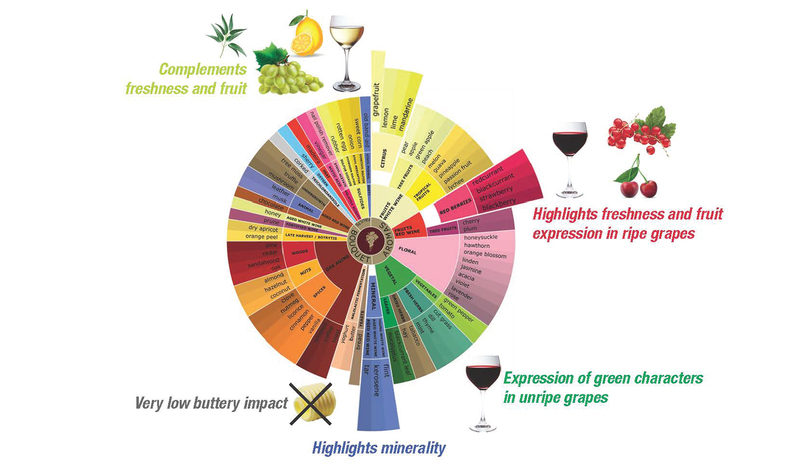 MLF is associated with a broad range of other metabolic processes that impact a wine's sensory profile. Managing diacetyl is one of the most common issues that arise with white wines, particularly Chardonnay. Fermentations can be slow to finish, or the fermentation may stop before all of the fermentable sugars have been consumed. There are many reasons why this may happen and we can sometimes attribute this to microbial competition, nutrient limitations/imbalances, environmental conditions or chemical toxicity? By determining the root cause of the problem, we can then find the best solution. Prior to beginning any restart, it is recommended that some basic analysis be conducted. This should include microbial activity as well as chemical analysis: ethanol level, glucose and fructose, malic acid, volatile acidity. During stressed fermentations, the yeast cells can produce toxins that can be inhibitory to the new cells that are to initiate the restart. It is important that we prepare the wine for a restart by detoxifying the environment and racking of these inhibitory compounds (short and medium chain fatty acids) as well as the spent yeast from the primary fermentation. The yeast strain used for the restart should be alcohol tolerant, have fructophilic strength, and be a reliable fermenter. However, for this new yeast to be successful, it may need additional nutrients added and a constant temperature (68˚-72˚F). These nutrients (Fermaid A, K, or O) supply a source of alpha amino nitrogen in a form in which the cell membrane permeability and the intracellular pH control ATPase functions are not compromised by the ethanol present. Read more here on the Fermentation of Fructose. A large number of parameters influence the development and activity of malolactic ferments in wine. Consequently malolactic fermentation (MLF) is liable to be triggered at a wide variety of moments. Malolactic fermentation that is spontaneously triggered too early or too late can result in qualitative and financial losses. Scott Labs New Paso Robles Location - NOW OPEN! After months of setbacks and construction challenges, we are very excited to announce that as of Monday, 9/28, the new Paso Robles location of Scott Labs is open for business! We are located at 3320 Ramada Dr. Suite B in Paso Robles. Hours are Monday-Friday, 8am-5pm. Please stop by and say hi. We look forward to getting to know all of you on the Central Coast! RICHLAND, Wash. – With classes underway, students and researchers have begun processing grapes for experiments on fruit maturity and irrigation at Washington State University’s new wine center. Nine courses started Monday in the $23-million Ste. Michelle Wine Estates WSU Wine Science Center located on the Tri-Cities campus. Students are studying winemaking, grape growing and other horticultural subjects. “The Wine Science Center is coming to life with the addition of students and grapes,” said Thomas Henick-Kling, director of theWSU viticulture and enology program. Incoming grapes will be made into wines in the most technologically advanced research winery in the world. Four grape varietals harvested from Ste. Michelle Wine Estates’ vineyards will be used in two experiments, according to Jim Harbertson, associate professor of wine chemistry. A number of other experiments will continue throughout the harvest season. “In one, I’ll be running a maturity trial – meaning grapes will be harvested at three different times to allow them to accumulate varying concentrations of sugar, a measurement called Brix,” he said. Markus Keller, professor of viticulture, and postdoctoral scientist Yun Zhang are conducting a deficit irrigation trial with Chardonnay and Riesling grapes grown in the Paterson area. In collaboration with Harbertson and Ste. Michelle Wine Estates, they are looking at the effects of varied timing and quantities of water on fruit quality and yield, and the impact on wine flavor. “This project will help the wine industry better schedule vineyard water supply and understand the effects of deficit irrigation on white wine quality,” said Keller. “Many studies have been done on reduced watering of red grapes, but white grapes have been somewhat neglected and may sometimes be under-irrigated. The Wine Science Center has research and laboratory space as well as experimental winemaking facilities. It provides classrooms to train the technical personnel that the expanding wine industry in Washington and beyond requires. The fermentation system, donated by Cypress Semiconductor Corporation, is a series of racks of eight 211-liter (52-gallon) stainless-steel wine vessels with individual fermentation control and monitoring units. Spokane Industries custom made the 192 wine vessels. Private support accounted for $15.3 million of the center’s building fund while $7.71 million came from public funding sources. These include the State of Washington, Port of Benton, City of Richland and the U.S. Economic Development Administration. The Wine Science Center Public Development Authority included public and private industry leaders who advised WSU throughout the process. Image above: Dr. Jim Harbertson, associate professor of wine chemistry, hand sorts Syrah grapes at an Armbruster grape-receiving station and de-stemmer donated to the Wine Science Center by Scott Laboratories. Great for Chardonnay, Viognier, Chenin Blanc, Syrah, Merlot, Tempranillo, Grenache. Anchor Exotics SPH is a product of the yeast hybridization program of The Institute for Wine Biotechnology at the University of Stellenbosch in South Africa. It is a hybrid between S. cerevisiae and S. paradoxus. S. paradoxus is the closest relative to S. cerevisiae and can be found on grapes. This hybrid inherited the aromatic capabilities of both its parents, thereby expanding the aromatic potential and complexity from what S. cerevisiae strains have to offer. White wines produced using this yeast are described as having exotic aromas and flavors, as well as good mouthfeel. It enhances guava, passion fruit, tropical and stone fruit aromas and flavors. Exotics SPH is cold sensitive and ferments at a steady rate in barrels. 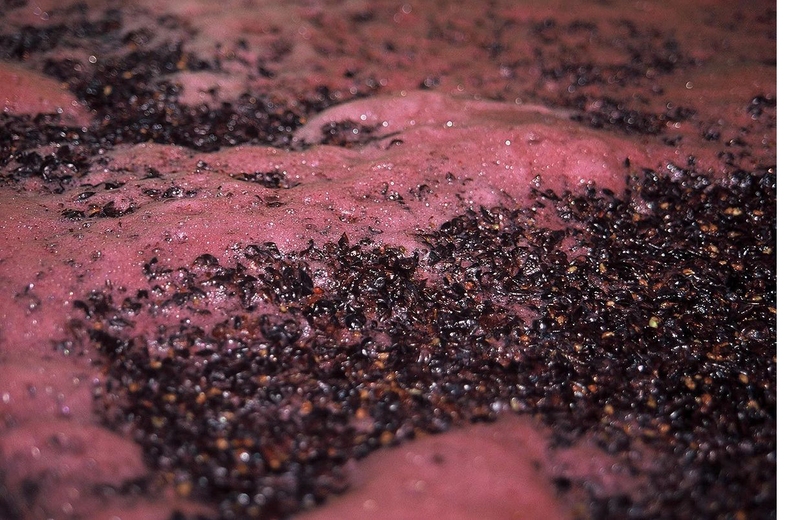 Red wines produced using this yeast, particularly Syrah and Merlot, have shown aromas of cherry, floral, cocoa and strawberries. They are also described as full-bodied, well-balanced, complex and intense. Optimum temperature range in reds is 18-28°C(64-83°F). Exotics SPH has been found to produce elevated levels of glycerol (9-13 g/L), which can potentially lead to lower alcohol conversions in high sugar musts. It has an alcohol tolerance up to15.5% (v/v) with medium nitrogen requirements. It has low VA and SO2 production. It can also partially degrade malic acid and is known to facilitate and enhance malolactic fermentation. Get your harvest orders in! Call, email or fax your harvest order to ship on or before July 31 and get FREE standard shipping on all book-price fermentation items. LalVigne® is a new product line from Lallemand’s worldwide research and development network. It provides new, innovative and natural options to viticulturists and winemakers that were unknown until now. LalVigne is an organic yeast derivative product that is applied in the vineyard as foliar spray at veraison. The yeasts used in its production were sourced from the Lallemand wine yeast collection. A single vineyard treatment with a LalVigne spray consists of two applications. The first is done at 5% veraison and the second 10–12 days later. LalVigne is easily suspended in water and applied using a spray rig or hand sprayer. In warmer wine regions ideal conditions for spraying are before the heat of the day. In the cooler regions, a window of 24 hours between rains is needed to get maximum effect. Intermittent rain after this point will not affect the effi cacy of the product. All winegrowers face the harvest challenge of achieving phenolic and enological maturity at the same time. Application of LalVigne has been shown to encourage the concentration of aroma precursors in grapes and it can have a noted impact on the timing of the phenolic maturity. In cooler climates, phenolic maturity can be diffi cult to reach. Complicating factors can include the onset of rain, early frosts, the grape variety itself, and vines susceptible to Botrytis. In many cases, the harvest date ends up being determined by external factors and not by grape maturity. A 2014 Washington State trial involved treating a Merlot vineyard with LalVigne. In this trial, the winemaker picked the treated vineyard six days earlier than the control block. Picking was done based upon the winemaker’s judgment about the fl avor and perceived phenolic maturity of the grapes. Wines made from the treated and control blocks demonstrated strong similarities, despite the large disparity in harvest dates. The opportunity for the winemaker to harvest a week earlier and achieve the “same” wine greatly reduces the risk of quality loss, due to unforeseen weather conditions. In warm climates, optimal sugar levels are often reached far in advance of other critical factors such as phenolic maturity. This means that the harvest date is often chosen primarily due to potential alcohol levels rather than other wine quality parameters. Trials were done on Merlot and Cabernet Sauvignon in one of the warmer growing regions in California. For both varieties, the control and treated blocks were picked at the same time. The decisions to pick were based on sugar levels. Blind sensory tastings showed differences in color, mouthfeel and aromas, with tasters preferring the wines that were treated with LalVigne. The vineyards yielded 10 tons/acre, thereby allowing the winery to improve maturity on vines with heavy yields. For the last several years, Lallemand has been conducting trials with LalVigne sprays in vineyards all over the world. The goal was not only to establish effi cacy, but also to gauge enological impacts that may not have been observed in the lab. The trial below (Figure 1) was conducted on Merlot and Syrah vines in Languedoc in 2012. A tasting was done by 20 professionals at the Centre de Viticulture et d'Oenologie de Midi-Pyrénées. In the LalVigne treated Merlot and Syrah, an increase in mouthfeel and volume was observed. The Merlot also showed an increase in aromatic intensity. A Sauvignon Blanc trial done in Spain in 2012 (Figure 2) was tasted by a panel of 20 professional winemakers. The wine made from the LalVigne treated vineyard scored better in mouthfeel, roundness and aroma complexity. In 2013, trials were done on Sauvignon Blanc in the Southern Hemisphere. Laboratory analysis on the LalVigne treated samples showed an increase in thiols. The natural decrease of methoxypyrazine (3-isobutyl-2-methoxypyrazine) or IBMP, during the ripening phase is a good indicator of aromatic and phenolic ripeness for grapes. It has been observed that virtually all the IBMP present in grapes ends-up in fi nished red wines, regardless of winemaking practices. Thus, vineyard practices have a huge impact on fi nished wines. Trials from the 2014 U.S. harvest were tested for differences in IBMP. It was observed that wines from the LalVigne treated vineyards showed a trend toward lower levels of IBMP. Furthermore, as we increase our trials, the trend seems to be that a greater reduction of IBMP is occurring when the baseline amount of IBMP is higher. Figure 3 below illustrates this. Call, email or fax your harvest order to ship on or before July 31 and get FREE shipping on all book-price fermentation items!!! were sourced from the Lallemand wine yeast collection. A single vineyard treatment with a LalVigne spray consists of two applications. The fi rst is done at 5% veraison and the second 10–12 days later....read more. A highly efficient, low cost device for energizing fermentations by automatically injecting air (thus oxygen) during pump-over. Engineered by the world's leading manufacturer of high-performance ventrui-type injectors. Internal vanes are cast into the injector and angled to intensify the mixing of the air with the wine. Fining agents and other wine additives can be introduced at the suction port. With the addition of a ball valve and hose, the operator can control the rate at which the liquids are drawn from a convenient vessel. No need for air hoses, automated systems, or dangerous and expensive oxygen tanks. Can be combined with delestage technique. Can be used during racking or mixing. Is your bottling line clean? Destainex-LF was specifically formulated for the wine industry to clean wine related soil and neutralize microbial contaminants. This formulation removes protein and color stains via an oxidation process, and this non-hazardous fully ‘built’ cleaner rinses freely from equipment with a single pass rinse. Destainex-LF is compatible with all bottling line equipment materials; it’s non-corrosive, non-tainting to wine and is fully biodegradable. Destainex-LF is a complex cleaner that contains active ingredients as well as chelation agents and surfactants. There are no phosphates, halogens, silicates or fillers. Bottling lines and associated equipment should be cleaned and sanitized at shut-down, and again at start-up if an ample amount of time has passed. This is classed as internal cleaning. An external cleaning should be conducted at start-up, shut down, and at various time in-between (e.g. scheduled breaks, production downtimes). Click here to view the entire Bottling Line Cleaning Protocol. O-MEGA® was selected in the south of France by the IFV in Burgundy for its ability to complete MLF in a wide range of applications. O-MEGA® can perform in cool temperatures (down to 14°C/57°F) and higher alcohols (up to 16% v/v) with very low VA production. bacteria in reds helps stabilize color because of the slow degradation of acetaldehyde. Contact Scott Laboratories for more information. Over the top (OTT) tannins are bold finishing tannins that were developed to provide a final, stylistic touch to your wine. Tannin Bold and Tannin Finesse are both great tools to provide a boost of oak character or perception of sweetness to your wine. SIGMA press with patented pressing principle and FLEXIDRAIN® technology for vertical juice extraction. Visit our website for a video of the SIGMA in action. Backed by a long history of quality and innovation, we are pleased to offer new crushpad equipment from Armbruster. Please click on the images below for more information. Please stop by and say hello and check out our latest offerings. You can find us in the main showroom in booths 800 and 801, as well as upstairs at booth 2605. Downstairs will house our Equipment, Packaging, and Fermentation sectors, while upstairs will showcase our Filtration and Cleaning products. See you there! The goal was to create a single machine and single efficiency to control all bottle rinsing, filling, closure, decoration, CIP and QC operations. After two and a half years, this goal was achieved in the most impressive way. At an open house on December 11, LangeTwins Winery showed off its new bottling facility, complete with its state-of-the-art MBF Superbloc®. Click to read a full story of the event. Join Team Scott Labs in our 2nd Annual Tour de Cure! 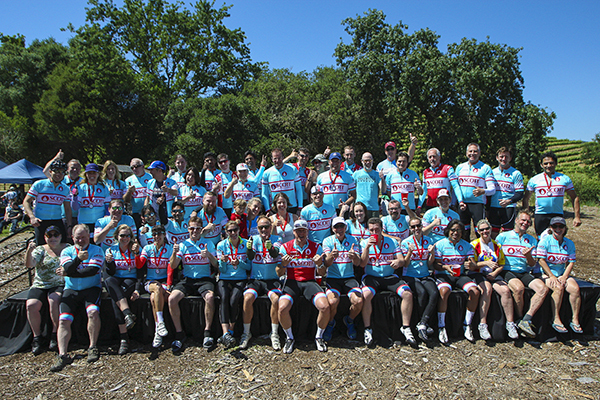 After a huge success last year, Scott Laboratories is excited to again participate in the Napa Tour de Cure. We invite our customers, colleagues, family and friends to join us. Last year we raised $57,000 and were in the top 25 nationally for fundraising! This year, we hope to top that and raise at least $80,000. The event is May 3, 2015 and we want you on our team! Whether you want to dust off your old beach cruiser to ride the 10 mile ride, or you want to go the distance for the 100 mile ride, this event allows all of us to get out there and enjoy what promises to be an inspirational day. The more the merrier, so please pass this on to friends, family, co-workers and anybody else you can think of. Details are below and we hope to see you all there! There is a $15 fee to register, however, if you sign up before December 31, registration is FREE! Be sure to enter the code SCOTT to activate the free registration. For every 25 riders that sign up, we'll raffle off a free commemorative jersey, compliments of our friends at CAPO Cycling Apparel. We need all orders for the awesome team apparel by Feb. 1, so don't procrastinate. It's fun, will help you get in shape, and it's for a great cause! Contact us with any questions by email at tourinfo@scottlab.com. The SUPRAdisc II lenticular filter design combines the filtration performance of Seitz media and the structural robustness of interlocking dual drainage plates. This provides the most robust design available in the market today. The dual drainage plate design of the Supradisc II lenticular modules optimizes the flow distribution by providing unobstructed process flow. These advancements in lenticular module design also enhance integrity as well as superior resistance to back pressure failures of the filter media. Well known for emphasis on product education as well as superior customer service, Scott Laboratories is excited to continue that tradition with its series of informative 'how to' videos. The 'Drops of Knowledge' video series, started in 2013, aims to provide hands-on protocols and resources for customers. Many of the topics covered in the videos challenging to explain over the phone, but lend themselves perfectly to a video format. These videos can all be accessed on the Scott Labs Video Channel. Cellaring tannins are used to enhance mid-palate structure and aging potential. They can also enhance aroma complexity. Finishing tannins can also enhance complexity in wines prior to bottling. Bench trials are recommended to determine the best tannin for a particular wine or style. Visit our website for more information and product descriptions for our range of cellaring and finishing tannins. Humidity and unpredictable rains can add unwanted challenges to harvest. Rest assured, there are many tools available to help deal with the potential problems caused by rot. Review our rot protocols for both red and white wines to help guide you in your processing decisions. Recent research, specifically trials done at The Australian Wine Research Institute, show that in addition to reducing acidity and stabilizing wine, MLF may also be used to shape a wine's aroma and flavor. MLF is associated with a broad range of other metabolic processes that impact a wine's sensory profile. Certain strains of Oenococcus oeni consistently enhance the fruity-berry characters in red wine. What sensory outcomes can MLF regulate? Sensory impressions such as buttery, vanilla-like, nutty, spicy, fruity, vegetative, toasty, fuller and rounder are used to describe MLF influences. Is your cellar ready for harvest? Harvest Greetings from Scott Labs! We have just the line-up to make your pre-harvest cleaning as effortless as possible with effective results. AiRD cleaning products are designed specifically for the wine industry and provide significant water savings since no citric rinse is required. They are safer and have less environmental impact than bulk chemical cleaners. Visit our website for more information. Call, email, mail or fax your harvest order to ship on or before July 31 and get FREE standard shipping on all book-price fermentation items. Lalvin ICV OKAY® was selected in collaboration with the INRA, SupAgro Montpellier, the ICV and Lallemand for its ability to produce very low levels of SO2 and H2S. It has a very short lag phase, low nutrient requirements and alcohol tolerance to 16% (v/v). Very low production of acetaldehyde. Lalvin ICV OKAY® is recommended for fresh and aromatic wines. It also has very good compatibility with malolactic fermentation. Click here to read an article on the history and properties of Lalvin ICV OKAY®. Cleaning and sanitation protocols are an integral part of any quality assurance program. These consecutive and complementary steps help to preserve wine quality by controlling the microbial populations associated with all stages of the winemaking process. Please visit our website for more information on these products. Well known for emphasis on product education as well as superior customer service, Scott Laboratories is excited to release an educational video series titled ‘Drops of Knowledge’. The first three fermentation-focused videos include yeast rehydration protocols for both Lallemand and Anchor branded yeast, carried exclusively by Scott Laboratories in North America, as well as recommended protocol on how to restart a stuck fermentation. The most recent releases include three videos on setup and usgae of filtration equipment, including a sheet filter, lenticular fitler and cartridge filter. The videos can be found online at www.scottlab.com. The Mazzei also makes it easy to do liquid additions to tanks during a recirculation. Connect the Mazzei injector on the discharge of your pump which is set to recirculate a tank. Drop a short suction hose into the vessel containing your mixed addition (fining agent, carbon, tannin, anything liquid). When the pump is running the venturi will draw from that vessel at a rate you determine with a throttling valve. No need for a stand-alone dosing machine. No hauling buckets of stuff up to the top of the tank. Additions can be made safely from the cellar floor. Visit www.scottlab.com for more information. Finishing tannins can be an added tool to help enhance complexity in wines prior to bottling, or to provide a final stylistic touch to wines. We offer a range of finishing tannins, depending on the desired outcome. Scott’TanTM Tannin Riche is a cellaring and finishing tannin notable for enhancing complexity. Derived from 100% toasted French oak, Riche imparts hints of coconut and vanilla, together with a perception of sweetness. 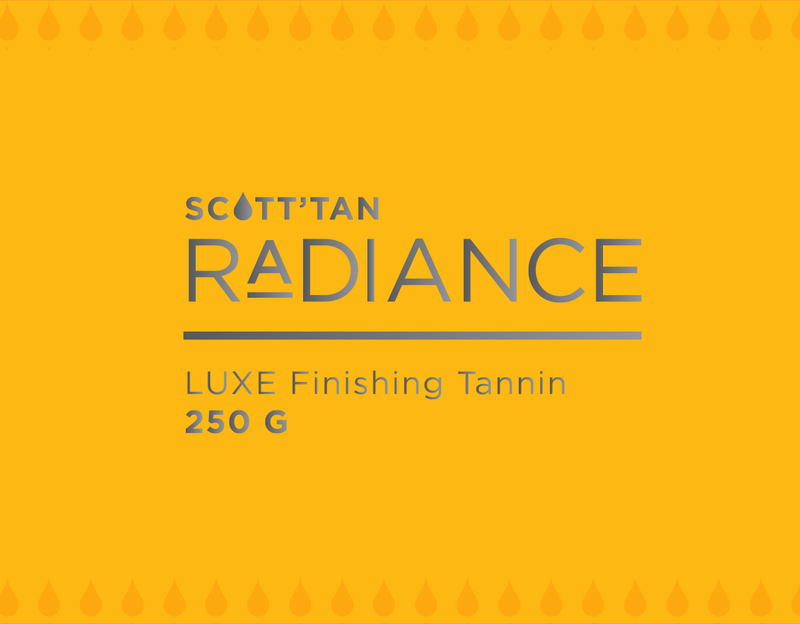 Scott’TanTM Tannin Riche Extra was specifically developed from 100% American oak. This proprietary tannin contributes nuances similar to Riche, but with heightened perception of vanillin oak character. It works well in conjunction wity low doses of other Scott'Tan tannins (e.g. Complex, Estate, FT Blanc) and can help smooth a wine's finish. Part of our OTT (Over the Top) tannin line, Scott'Tan BOLD was developed to provide an amplified final touch to your wine. Wood, caramel and vanill notes are highlighted on the nose and in the mouth of wines adjusted with BOLD. These wines also exhibit a pronounced oaky arom. BOLD an enhance the perception of sweetness, while also altering the tannin profile to reduce the perception of alcohol in reds. Scott'Tan FINESSE was developed as a stylistically New World finishing tannin, but with an eye on organoleptic balance. This proprietary tannin has shown to lower the perception of alcohol and hotness in reds and as well as perceived “biting” acidity in whites. Aromatically, it can exhibit tropical notes in chardonnay and red fruit in cabernet sauvignon. Scott’Tan FINESSE will also heighten perception of oak and sweetness. Scott Laboratories, Inc. is pleased to announce the appointment of Maria Peterson as Filtration Specialist. In this newly created position, Peterson will be available as a dedicated resource to customers, both over the phone and in-person, for all filtration related questions and issues. Peterson grew up on a family farm in South Africa, where she first discovered her interest in making wine. She went on to obtain her Enology and Viticulture degree from the University of Stellenbosch, South Africa in 2000. Her studies led to working harvests on four different continents. In 2002, she began working as assistant winemaker for Voyager Estate in Margaret River, Australia. She also acted as the assistant winemaker for Domaine Langlois-Chateau in Loire Valley, France, and red winemaker for Cave du Roi Dagobert in Alsace, France. While working as winemaker for Eaglevlei in Stellenbosch, South Africa, she was responsible for creating the first-ever sulfur-free Méthode Champenoise from Pinotage. Peterson has most recently relocated from Dahlonega, Georgia, where she was acting winemaker and vineyard manager for Montaluce Estate and Winery. Since filtration can be a complex discussion with many variables, Maria’s wealth of knowledge and experience in this area will be a tremendous resource for customers. Scott Laboratories currently offers a wide selection of filtration equipment and media. Come visit us at Unified! Please stop by and learn about our latest offerings during Unified. You can find us on the main show floor at booth numbers 800 and 801. In addition, we will have a booth on the third floor this year, specializing in our Filtration offerings, booth 2620. Scott Laboratories can trace its involvement with wine yeast all the way back to 1933. Our involvement with cork is more recent (1978). In 2010 we are the senior North American vendor of cork closures. When we began in this business all of our competitors were independent, locally based companies. After thirty years each of those companies has disappeared and been replaced by new companies that are tied to European cork houses. The independence is gone except for at Scott Laboratories. We think this is unfortunate. Independence works in favor of the cork consumer and is the best way to assure quality and value are optimized. Scott Laboratories has been a leader in the filtration of valuable liquids for over 40 years. Our filtration products offer reliable and predictable results time and time again. These quality products combined with our team's knowledge and understanding of filtration compliment each other and give our customers a winning package. Our wide range of filter media offers standard and specialized solutions for filtration needs. 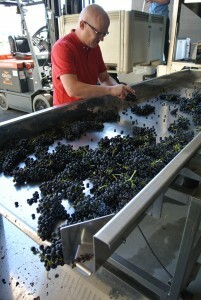 Scott Laboratories carries equipment useful through the stages of winemaking. From presses to bottling lines we pride ourselves on selling high quality products backed up with expert technical support. We are always pleased to answer questions and give information regarding the capabilities, benefits and specifications of our machinery. Quotes can be obtained by simply calling Scott Laboratories and speaking with one of our representatives.